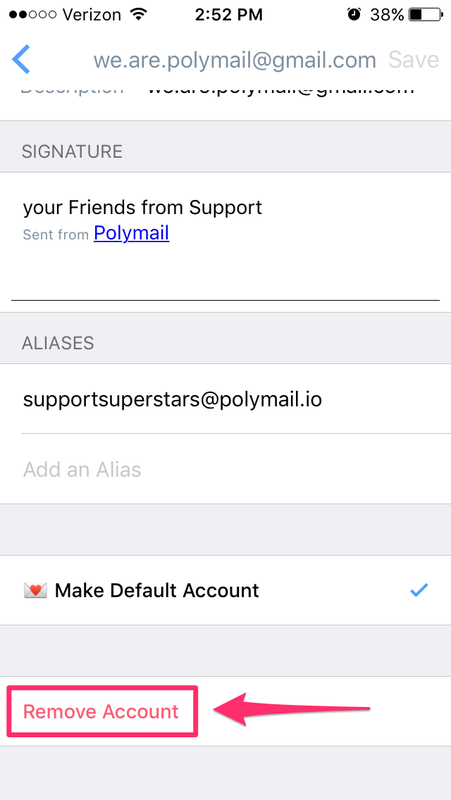 If you've synced an email address with Polymail but want to remove it later, you're able to do so whenever you would like! scroll to the very bottom of the page and click "Remove Account" in red. 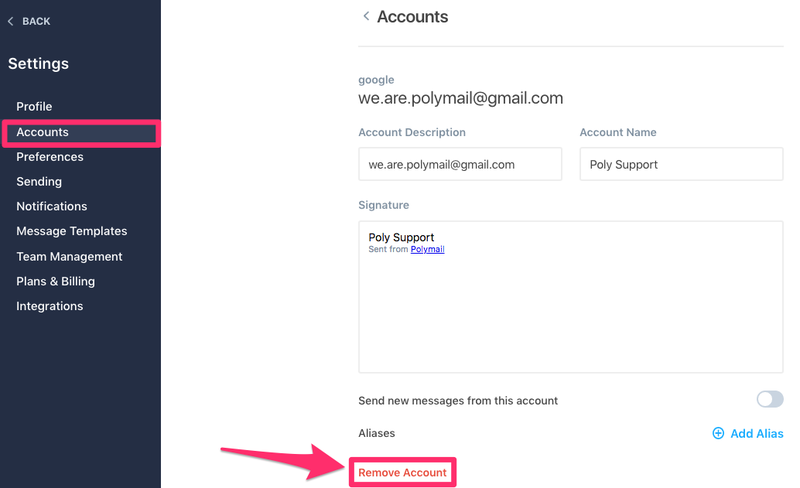 Note: When you remove an account from Polymail, we send it to our servers to do the heavy scrubbing and remove any associated data. This process can take some time, so if you're removing your account and want to re-add it, you might not be able to re-add it immediately.